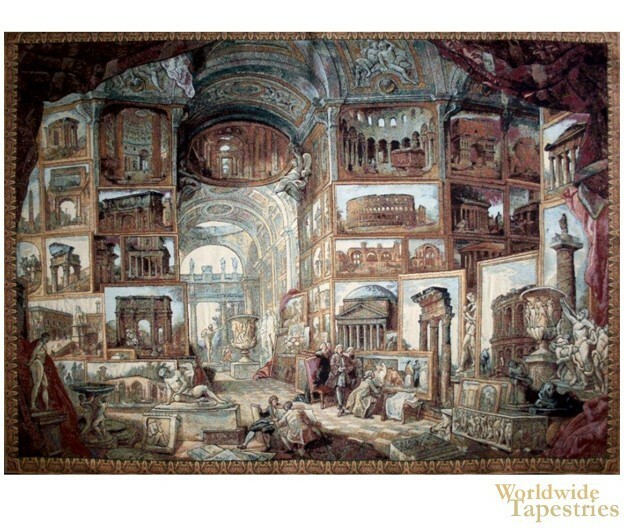 In The Museum tapestry, we see a fanciful and imaginative portrayal of the interiors of the Museum of Art in Italy. Here we see a scene full of paintings, sculpture as well as artists and their admirers. The perspective is huge and is a dreamlike rendition of a paradise of art. This wall art tapestry is backed with a lining and a tunnel for easy hanging. Note: tapestry rods and tassels, where pictured, are not included in the price.